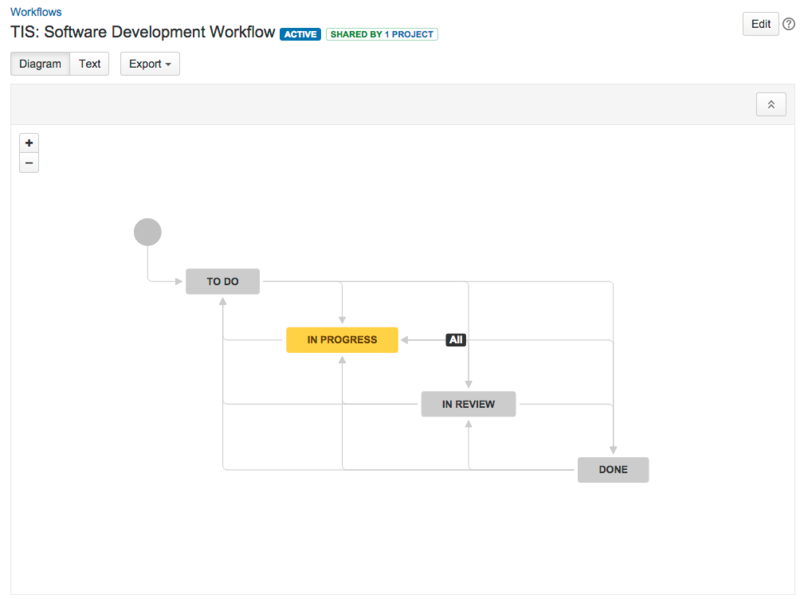 The screenshot and table below show a workflow and triggers similar to what you will be configuring. 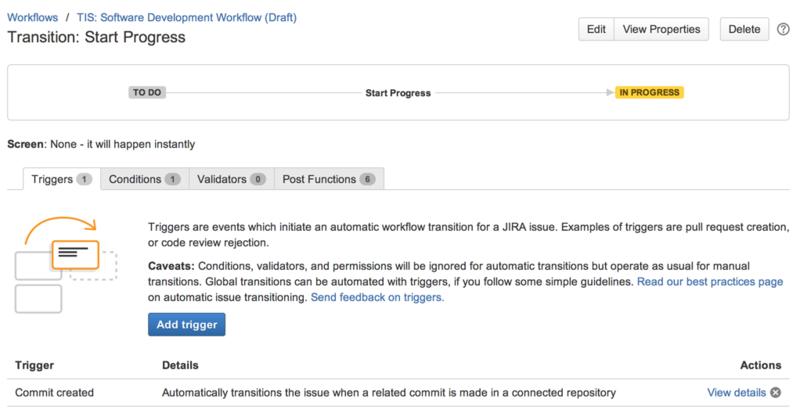 They reflect the typical interactions between JIRA Software and development tools in a software development lifecycle. 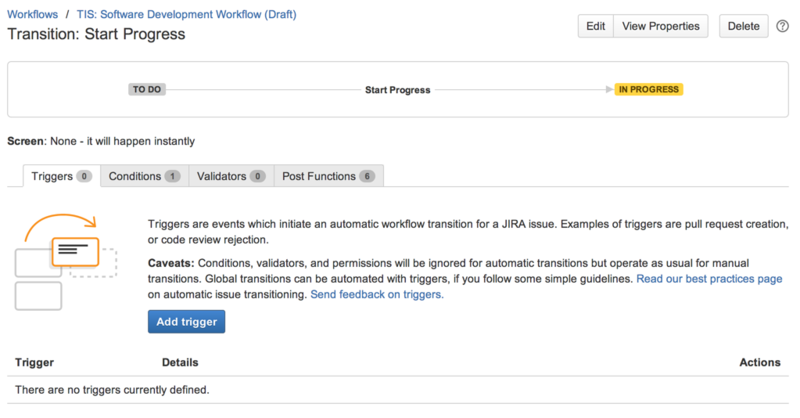 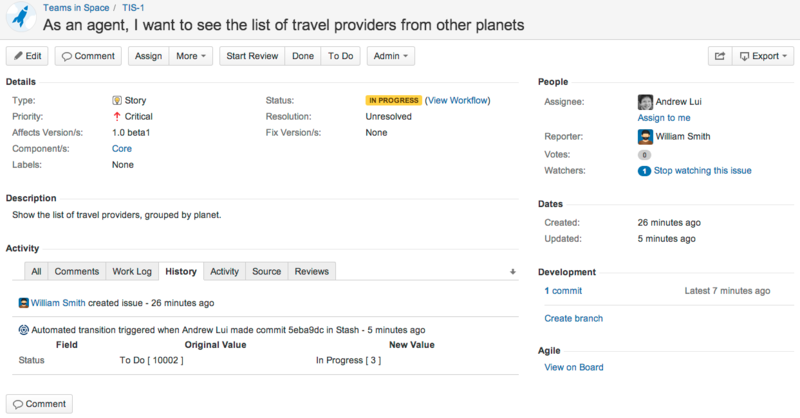 JIRA Software , Bitbucket Server and FishEye/Crucible (3.5.2) are used for this example, but you can configure something similar using any of the supported development tools.